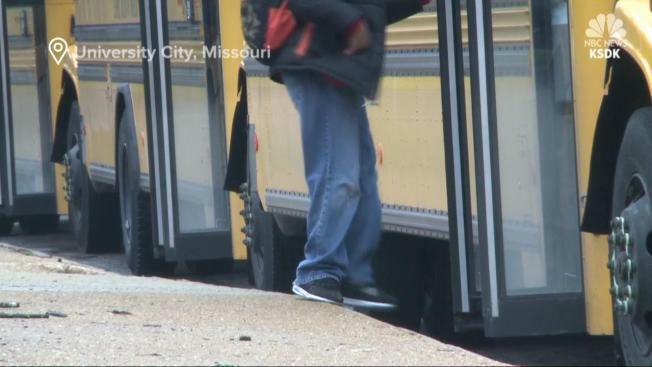 For the second time in a week, a child has been left on a school bus in the St. Louis, Missouri, area. The second incident happened Tuesday when a 6-year-old boy was left on a bus for eight hours after falling asleep in one of the back seats. The University City School District says the driver failed to do the two required checks for passengers. The sleeping student made it all the way to the bus terminal, where he stayed all day. The first-grader was returned to his mother after she called police when he didn't come home from school. The bus driver has been suspended, pending an investigation. In Lincoln County, another school bus driver has been fired after a 4-year-old boy was left on a school bus for nearly four hours last week.